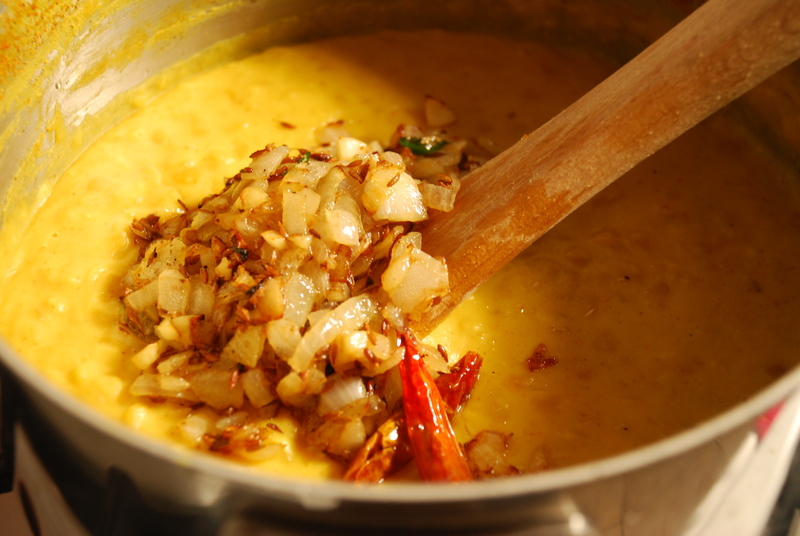 This is one of my favorite yellow dal recipes, it will give you a taste of what the Mughal emperors ate. So full of flavor and aromas, it will assault your senses. I know this has tons of garlic in it but just trust me and just follow the recipe. With the yogurt and cream, this amount of garlic is perfect as they do mellow it out a little. If you do make it, it is sure to end up on your favorites list weather you like dals or not! There is a lot less fat in here than what would normally be used in one of these mughlai dals, just to make it more healthier and easier on the waist! If you want to cut it further you could use oil instead, but will end up compromising on the flavor. I think it never hurt anyone to enjoy good things in moderation! It really is so tasty, you will love it! 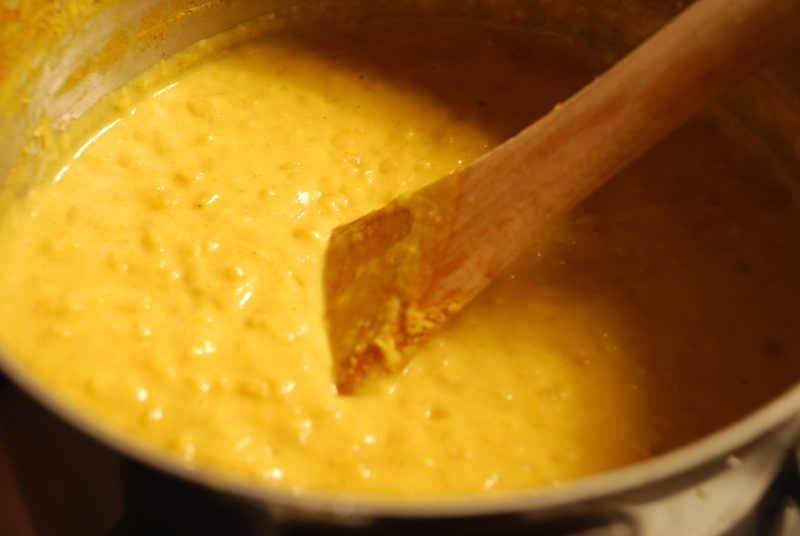 Place the washed daal, water, salt, cayenne pepper and turmeric in a sauce pan and bring to a boil. Cook till dal is tender. Now add the crushed garlic and cook for ten minutes. Add the yoghurt, cream and butter and cook ten more minutes stiring frequently. For the tempering, in a small frying pan heat a the butter or ghee, add the cumin seeds. 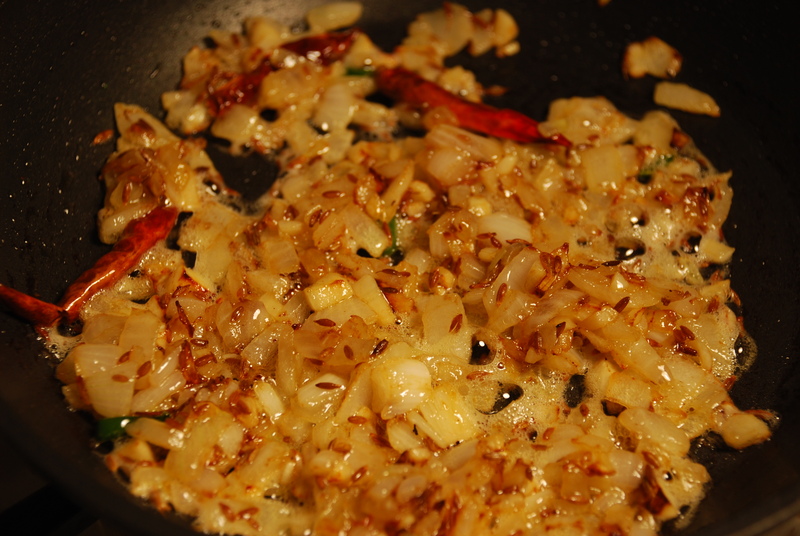 Add the onions and chopped garlic along with the dried red chillies. Cook till onions go glazy and slightly brown on edges. Add this mixture to the Dal and stir. If your daal has gone too thick, just add some water till it is the right consistency. It is not meant to be too runny at all. 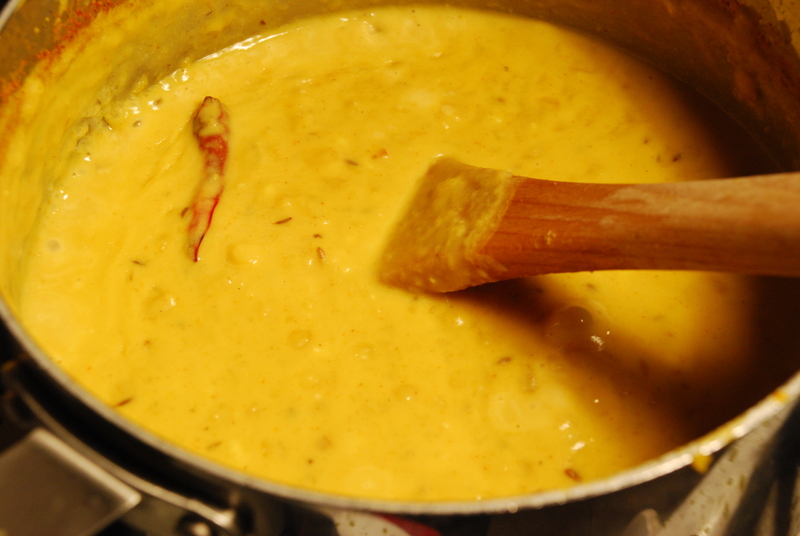 Should be a nice thick luscious daal, perfect for dipping your naan into and scooping up! A blogger who loves to cook delicious things from around the world. From Chinese, Thai, my native Indian, to Italian, French, Moroccan, Mexican, Middle Eastern/Ottolenghi type of food. Nothing is off limits here, as long as it’s great food. Always on the lookout for new and interesting delicious treats. Uhh, yeah. When can I come over and eat this?? come when you are in NYC next!